The other day I shared the flashcard game BANG! as a fun way for your beginning reader to practice sight words ~ those high frequency words that are essential for fluent readers to know at a glance. Today's game addresses the phonics aspect of early reading and helps kids focus on the letter sounds within a word. By changing the beginning sound in the word, but keeping the ending the same, children are able to practice "sounding out" groups of rhyming words (often called word families). These little spinners are super easy to put together and they're great phonics practice for home or the classroom! 2. Cut a small window to the right of the hole on the smaller plate using an exacto knife or scissors. 4. Next, stack your plates together and fasten using your brad. Then, write the first beginning sound on the bottom plate through the window. 5. Slowly rotate the top plate to expose an empty window, and continue writing new beginning sounds. For the -ap word family, I wrote the letters c, l, m, n, s, t, fl, cl, and sn. Now it's ready to go. First, have your child read the ending on the top plate. Work together to add the beginning sound in the window and read the first word. Then simply rotate the top plate to read other words with the same ending. In the example I've shown, you'll be able to read cap, lap, map, nap, sap, tap, flap, clap and snap! It's great phonics practice and a great confidence booster to be able to read one word, then sound out eight more. 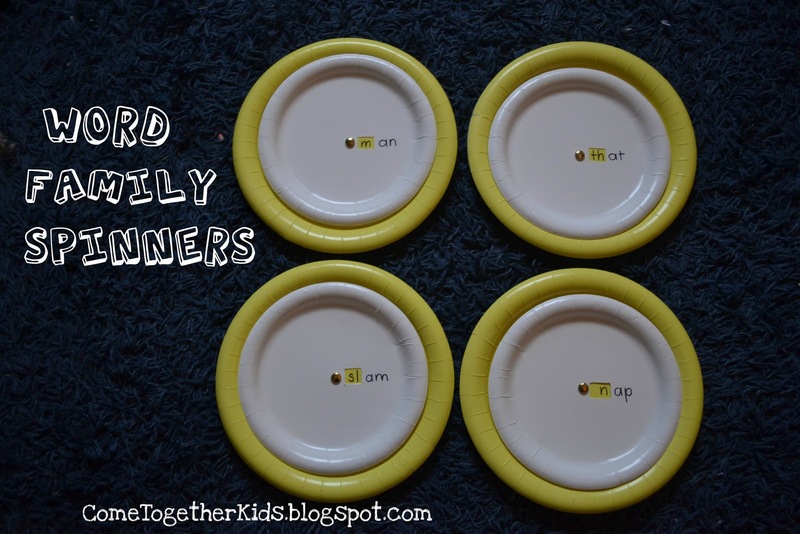 Make a bunch of spinners for all the different word families and your child will be amazed at how many new words they can read. * I found some great lists of word families (and additional resources) HERE! * You may want to start with single sounds in the window, then move on to blends like fl, sn, etc. You have the best ideas for educational games! This is a great project! Both my girls learned to read with contraptions like this one. They make learning fun! Hmm, this looks fun. Do you think there'd be any way to squeeze another little hole on the other side maybe, where a picture of the named thing shows up? This is a very neat idea... I think I'll try it soon. Thanks! Love this idea!! 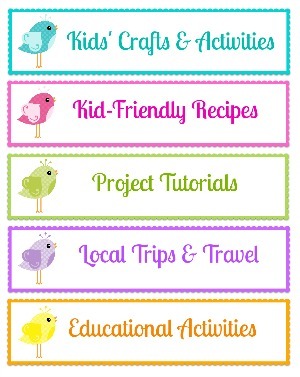 Just posted about it on Craft Gossip..thanks for the head's up! I really like this idea! My son is in Kindergarten and I think this would be really good for him. I just LOVE that word spinner! Going to make one - thanks for the inspiration - found you through It's playtime! So easy and fun! I immidiately saw turning it into a snail (no idea why) Or maybe orange plates with a green stem for halloween... ooh, I will have to buy some plates next time I am out =) Thanks for sharing! Love this. I am pinning this one. Thanks for sharing. Came over from It's Playtime. Oh, I am making these! We are working on word families and these are too cute plus we have tons of plates!!!!! I am sharing on Fb & twitter! Thanks for sharing your fun with us on the Sunday Showcase. We hope to see you link up what you've been up to this week. What an amazing idea...Emily is just beginning to read and this would be great for her. Thank you for sharing this and the link to the lists too! 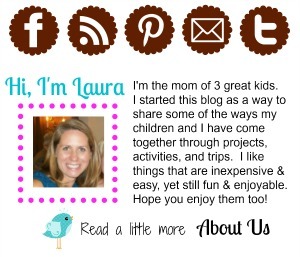 This is awesome, Laura! Thank you so much for sharing this amazing idea. I will definitely use it as a class resource to practice onset and rime! Also, because I'm a speech pathologist, I always pair the word with a visual (pic) for those kiddos who have language delays or just need extra help with learning...I might make one more "wheel" on the outside to include a teeny picture of each word that can be created - is this crazy/too much work? Thanks again, Laura! Very fun! And do you think if the writing was moved more towards the outer edge of the plate you could fit more on the plate underneath?? Just an idea for those very large word families! Great ideas! Thanks for sharing. I'm a kindergarten teacher and there is no better way to teach kids how to read than through word families. Lakeshore has a really great book of word families just like your ideas, same concept, but much less work. I just wanted to say, Thank-you. You are very thoughtful to have post this and including word families. Thanks a bunch. I love the concept. I came to this website for the first time and I found many important tricks that I can try with my own kid. Thanks for sharing. I heard about kids who are doing wonders. According to an article written by John Dess, A freelancer with BestOnlineAssignmentHelp and a father of 3 kids have written that: It's not necessary to engage with your kids every time just let them be free with equipment and play items. After a while you would see the change in them in terms of creativity and ideas. So I'll try that too. This article is one of the clear examples of that. ??????? ???? ?, ????? ??????? ???? ?